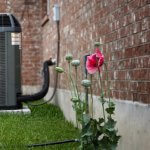 Spring is when most homeowners start to rely on their air conditioning system for comfort and humidity relief. But what if the AC won’t turn on? 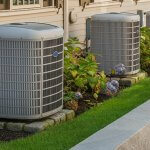 The first thing you should check is your air conditioner’s filter. Some units will turn themselves off and not turn back on again until the clogged air filter is replaced with a new, breathable one. This is done as a safety and efficiency precaution. Learn how to change an HVAC filter. If the filter is clean, check your thermostat to make sure it is working properly. Make sure it has power and is set to cool or heat. If you have an electromechanical thermostat, it needs a good cleaning every once in a while. A broken thermostat can easily disable an entire AC system. If you’ve gone through the steps to make sure your thermostat has working batteries and is clean and level, your problem may be with your home’s circuit breaker or power supply. If your air conditioning system isn’t receiving power, check the breaker box for any tripped breakers. Flip the breaker all the way off before flipping it back on again. If you flip the breaker but it continues to trip, don’t restore power until you have had a licensed technician inspect the wiring. If you don’t have any power at all, contact your utility company. Call a licensed and insured HVAC company to diagnose and repair any unsolved power problems. The technician may need to repair or tighten wiring or loose terminals. 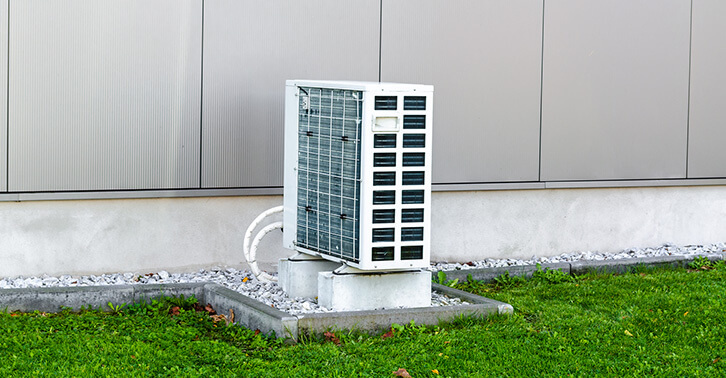 Another possible reason for an air conditioner that won’t turn on is if a lot of leaves, grass, and other debris are clogging your unit’s outdoor condenser fan and fins. 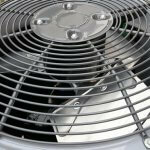 If you suspect this might have happened, either schedule a professional tune-up and cleaning or learn how to clean the condenser unit yourself. The transformer and contactor are electric motor controls that are used to turn on the air conditioner or heat pump. If they aren’t working anymore, you will need to contact a licensed professional for replacement. 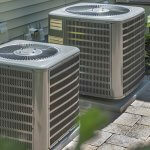 For help pinpointing the problem with your air conditioner, refer to our Heat Pump Troubleshooting and Repair Chart. If you have any questions, don’t hesitate to Ask a Champion. Service Champions is the premier HVAC provider for Northern California, including Pleasanton, Livermore, Concord, Rocklin, and San Jose. Call us today to schedule your precision air conditioning tune-up and cleaning.